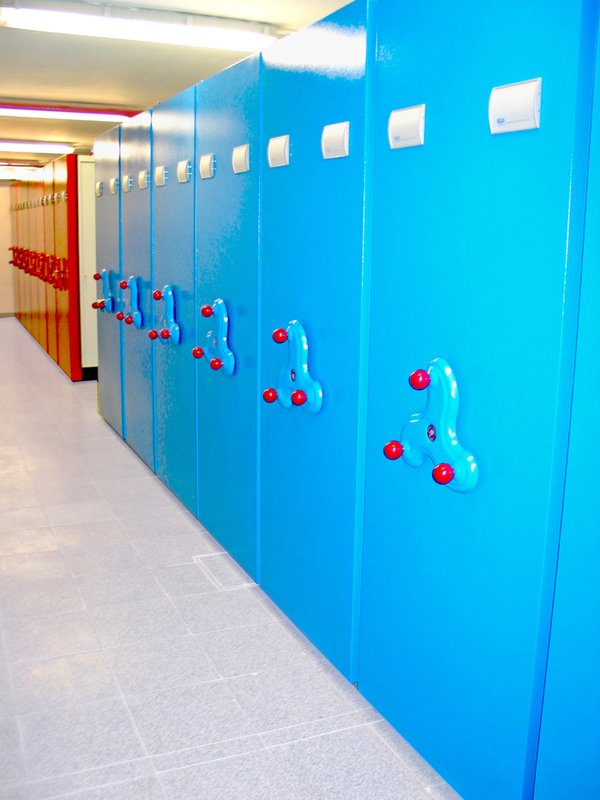 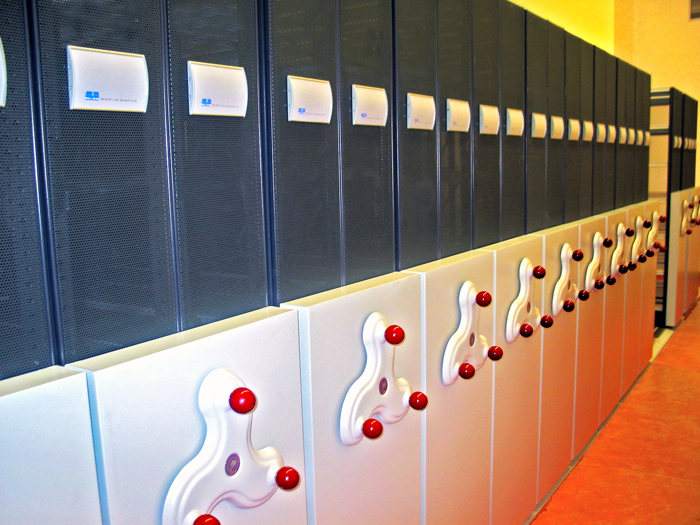 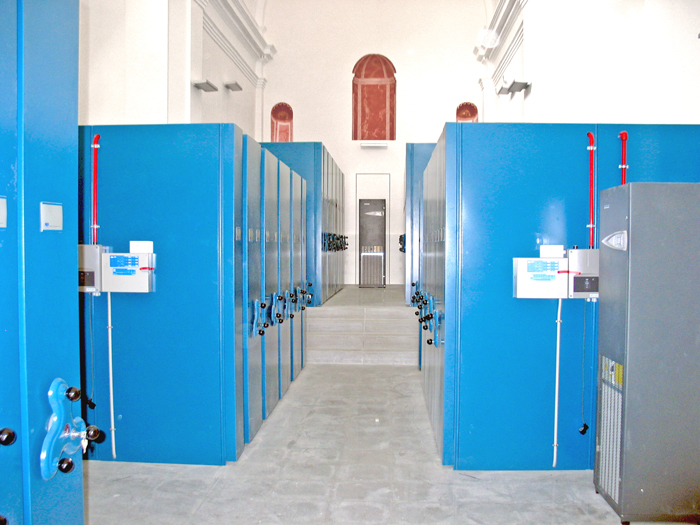 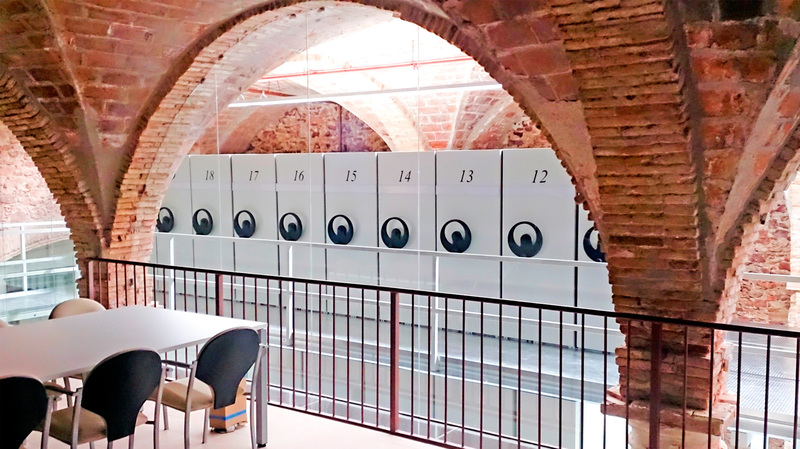 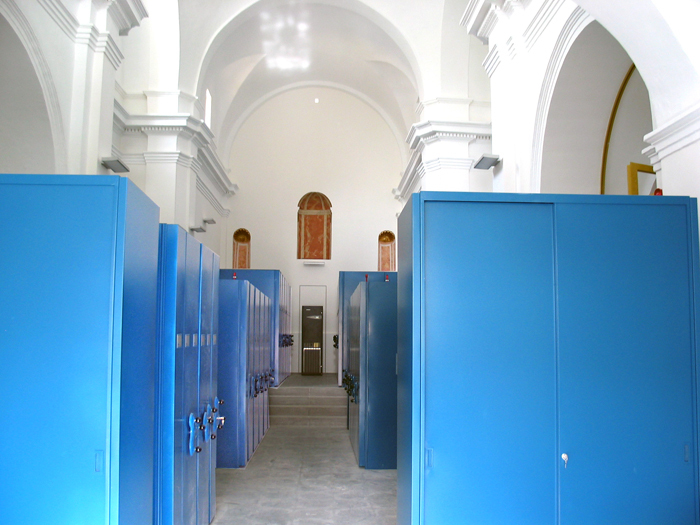 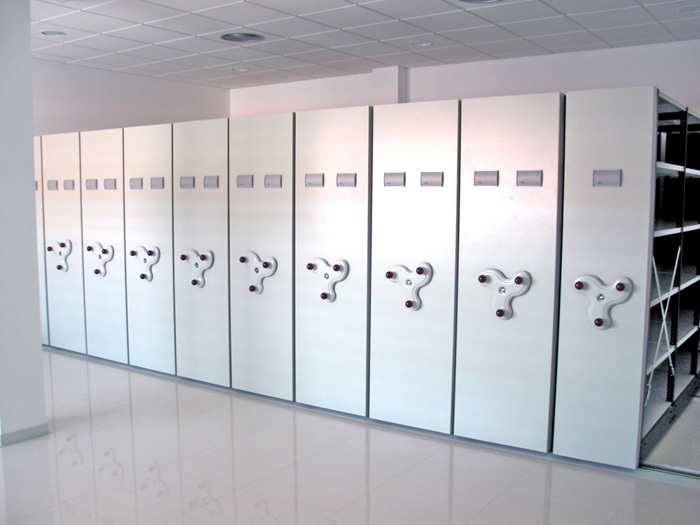 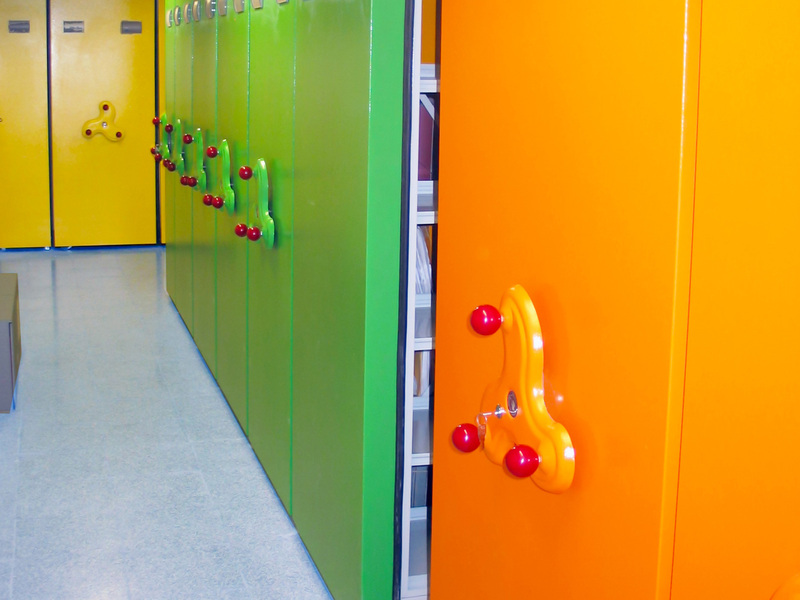 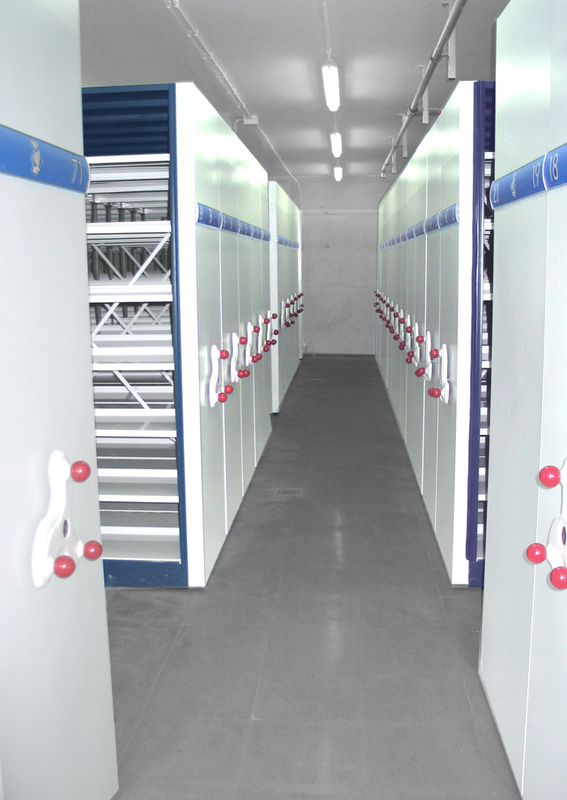 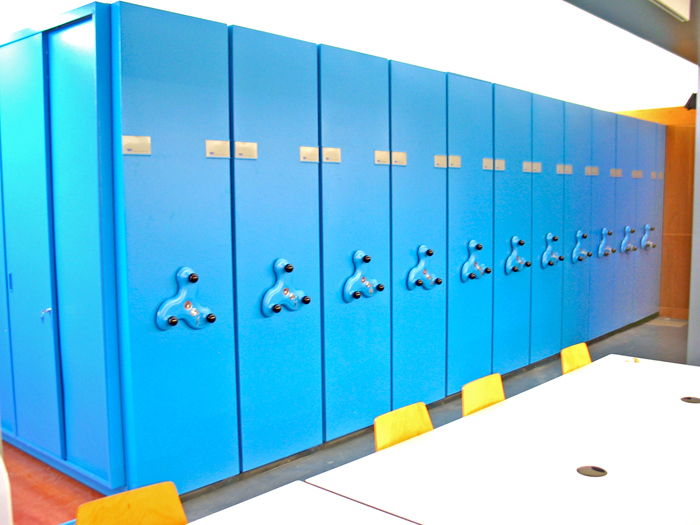 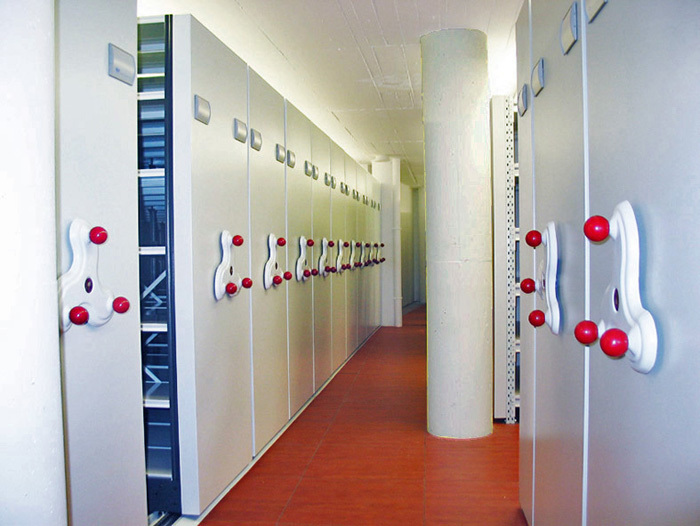 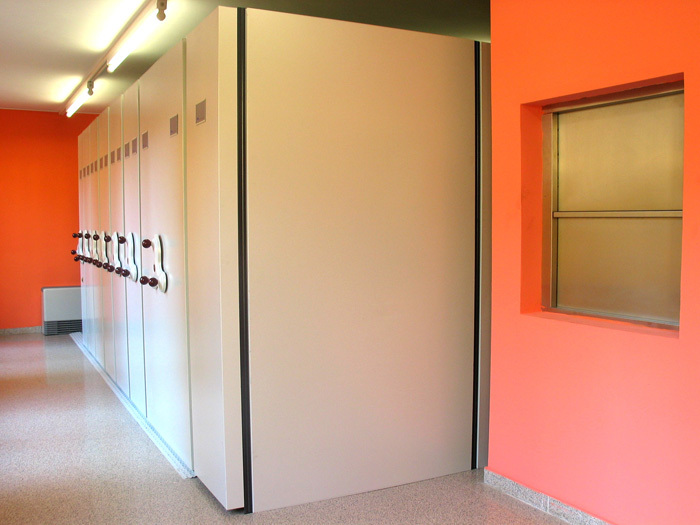 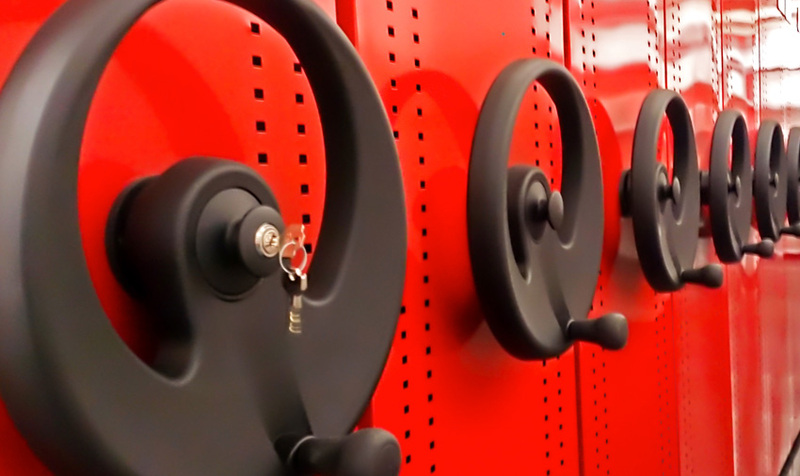 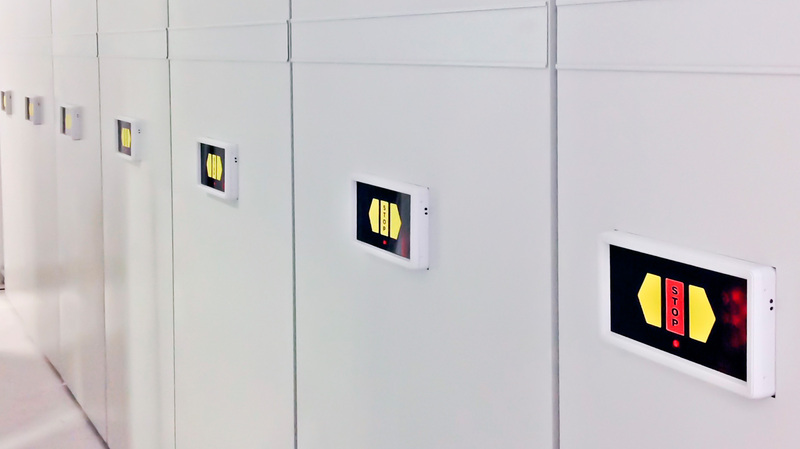 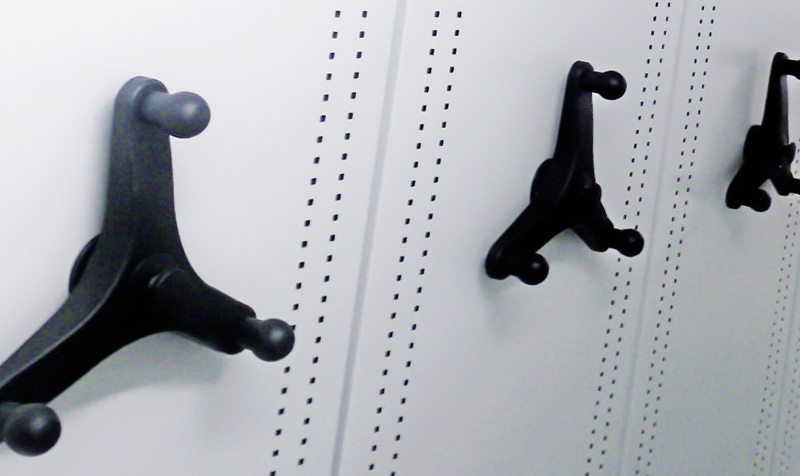 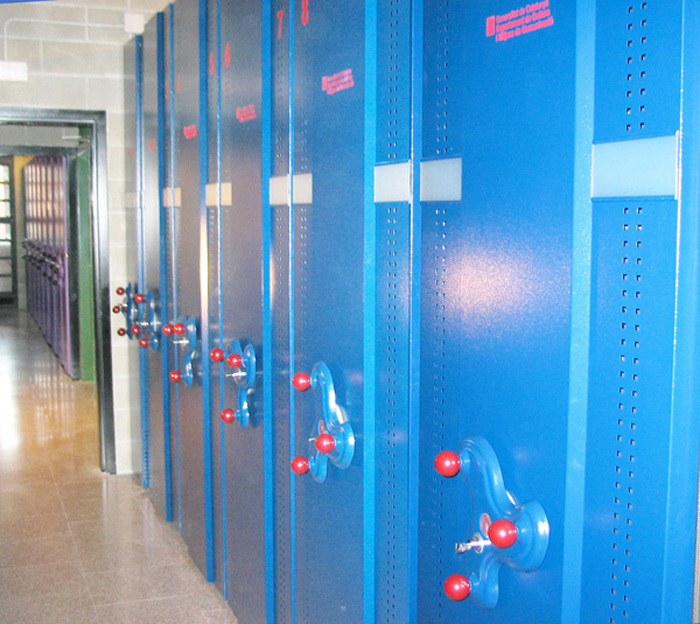 The rolling archiving system allows you to double the storage capacity of an installation of conventional fixed shelves. 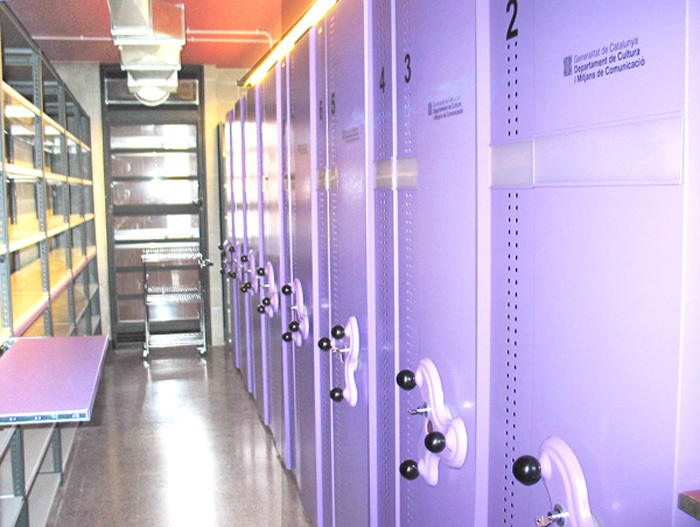 A single aisle is enough to give access to the entire file. 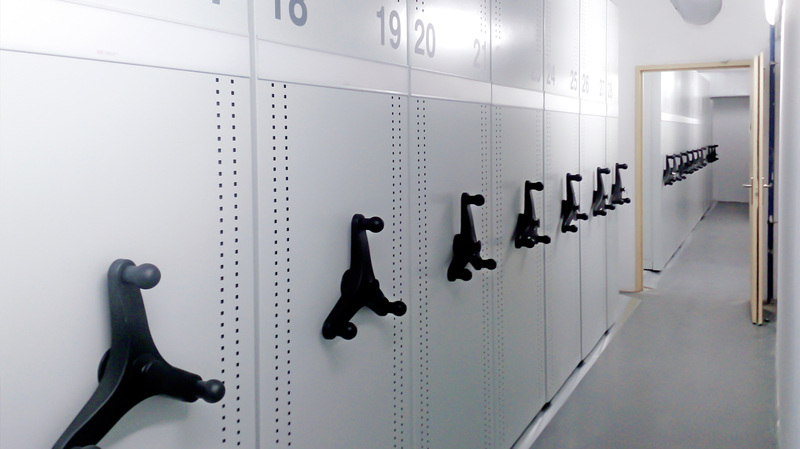 The movement of the cabinets can be manual (by handle), mechanical (by means of hand wheel) or automatic (by electronic push button). 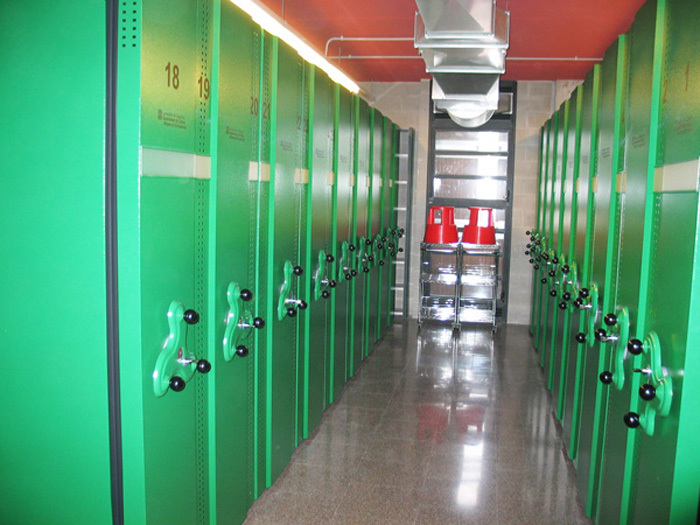 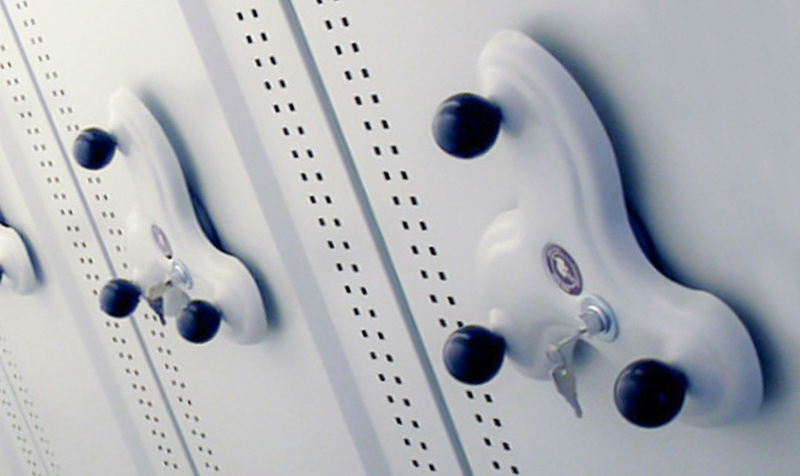 The integrated triple reduction mechanical system allows the movement to be smooth and comfortable Moreover guarantees at all times the safety of both the user and the archived material. 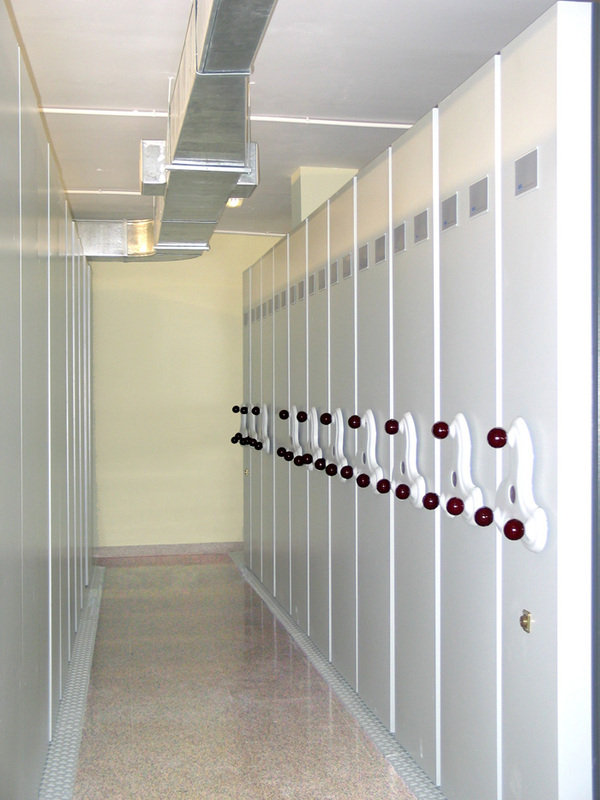 With the operation of a single cabinet we can move several consecutive sliding cabinets at the same time even at full load.